Successful facility managers need the ability to manage risk well. They must understand the various ways the built environment can malfunction, anticipate the most likely problems and protect the owner's interest in such a way that the building can be safe for occupants yet productive for business purposes. The FM must therefore know the major tenants of risk avoidance, including knowledge of possible legal obstacles. 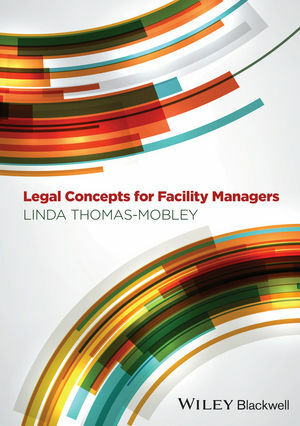 Legal Concepts for Facility Managers informs facility managers of their legal responsibilities and helps them avoid unnecessary exposure to liability. Each major legal theory will be explained and illustrated with charts or case histories. Chapter learning outcomes and discussion questions will help students recall salient information and are also intended to be used as homework assignments or prompts for classroom discussions. As with any legal textbook expressly written for professionals who are not in the practice of law, the objective of this book is to inform students about their legal responsibilities. This text is not intended for students preparing to practice the law. It can be used in any course teaching built environment professionals how to avoid unnecessary exposure to legal liability.